BrightSpark™ is the premier safe and effective, non-addictive, natural medicine to control hyperactive behavior and inattention naturally. It contains 100% homeopathic ingredients especially selected to temporarily provide non-stimulant relief of attention problem symptoms including hyperactivity, distractibility and impulsiveness in children and adults without negative side effects. 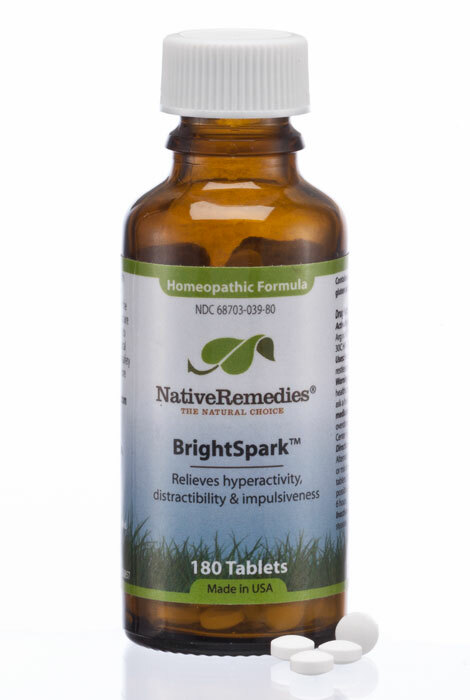 Formulated by a clinical psychologist and our team of experts in natural medicine, BrightSpark™ is a non-habit forming FDA-listed OTC homeopathic remedy that relieves short attention span and calms hyperactivity and improves concentration, so children and adults can focus on the task at hand. BrightSpark™ should be taken when you see signs of impulsive, attention-seeking and irregular behavior or inattentiveness, as it will help support calm, alertness and focus, minus the risk of addiction, drowsiness and other side effects. 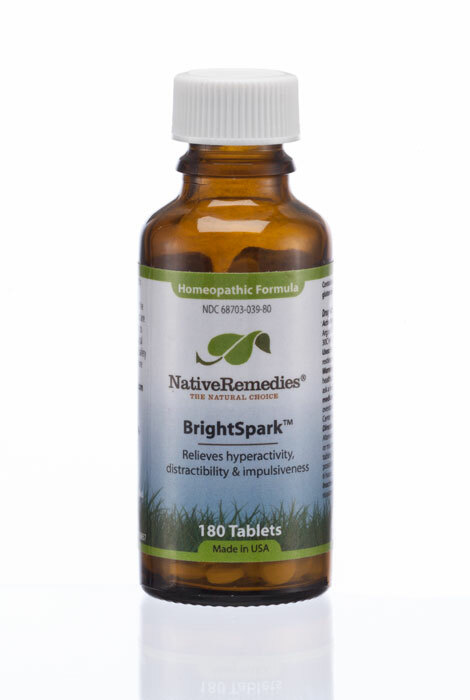 BrightSpark™ is 100% homeopathic and contains these ingredients: Hyoscyamus 30C HPUS, Arsen iod 30C HPUS, Argent nit 6C HPUS, Veratrum alb 30C HPUS. To take, chew or dissolve these very small, pleasant-tasting tablets directly in the mouth. Alternatively, for children, tablets may be crushed and combined with soft food like yogurt or apple sauce, sprinkled directly on the tongue or mixed in a little warm water. For all ages: Take 2 tablets 3 times daily on an empty stomach. Special instructions: For children arriving home late from school, the second dose can be taken between 3-4 p.m. and the last dose directly before bed. BrightSpark™ should not cause any sleep problems. One bottle of BrightSpark™ contains 180 tablets and will last approximately 30 days. People respond to natural remedies in different ways. Some of our satisfied customers experience benefits within a few days, while many others have reported optimal benefits taking effect within 3-6 weeks. It is important to take natural remedies as directed and remain consistent. You may also find that a smaller maintenance amount is beneficial for ongoing support. Many customers report taking a regular maintenance amount for continued health and well-being. Benefits are greatly increased if the recommendations are followed regarding healthy diet, sufficient sleep, regular exercise and fresh air, all of which go a long way in contributing to good health and well-being. is it safe to give young children without side effects ? BEST ANSWER: Thank you for your question. 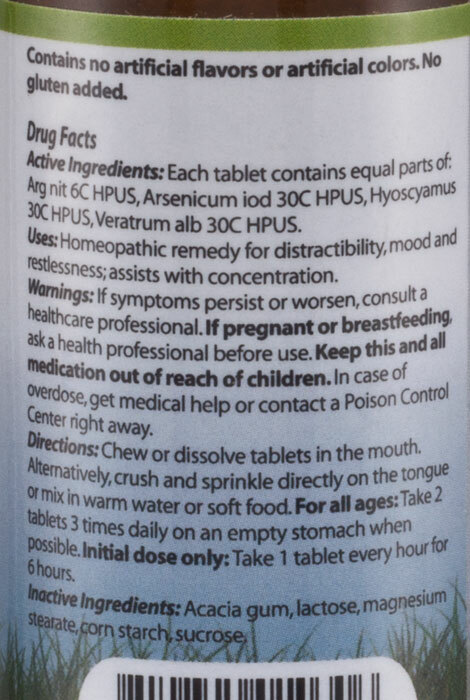 As all the ingredients are natural, it is safe to use for children and should not have any side effects. Please check with the ingredients to be sure the child is not allergic to any of them. We hope this information will be of help to you.